The first LooChoo Identity Summit (LCIS), was held on Moku O Kahekili/Maui, from March 20-22. Over 100 Delegatesand volunteers from O`ahu, Maui, and Moku o Keawe/Hawai`i Island, as well as participants from as far away as Okinawa and New Mexico attended this event, hosted by the Maui Okinawa Kenjin Kai, and Maui Ryukyu Culture Group, and produced by Ukwanshin Kabudan. From Friday through Sunday, the summit was filled with discussion, sharing, learning, thought, emotion, and fun. The first day opened with registration by the participants, and getting to know each other as everyone was introduced to their groups. “It was like a family reunion “, said Gary Oshiro from Waiakea. To commemorate the 70th anniversary of the Battle of Okinawa, and honor the war survivors living in Maui, the Maui Okinawa Kenjin Kai and Maui Ryukyu Culture Group presented an emotional and awesome display which greeted everyone as you entered the Maui Okinawa Culture Center. The conference continued the second day at the Rinzai Zen Mission in Paia. This temple was built by the first generation Okinawans from the Paia plantation town, and is still a gathering place for Okinawan groups. This is also the location of the only ALL OKINAWAN bon dance in the state, and possibly the country. It seemed so appropriate to have a conference to connect back to roots at this temple with a deep Hawai`i Uchinaanchu history, and with the graves and remains of many of the first generation housed there. The day opened with the original oratory “Who Am I” which brought back memories to many of the connection to the first generation and what we have lost. Tears flowed as many realized what they missed form the past and also some expressed regretting not having connected more with their first generation while they were alive. Everyone then broke into small discussion groups to discuss “who am I”. The next introduction to another group breakout for thought and discussion was given by Keith Nakaganeku Shinshi, who shared his experience of realizing who he was after losing his job in the corporate world. His presentation led many to realize that who we really are is what we can be stripped down to. The second breakout saw a change in thought of “who am I”. Presentations in a panel discussion by individuals representing various organizations. gave everyone a look into the problems and struggles the community was facing in a new generation. We got to see that many are similar although we may think other clubs or organizations are better off. We are all facing loss of membership, volunteers, monies, participation, young interest, and purpose. It gave everyone a feeling of being in the same boat and that we must work together to support each other and share so we can move ahead together as we try to pass on our Okinawa culture in our communities . The evening brought everyone back together again at the Maui Okinawa Cultural Center as groups shared their talents in what they have learned in Okinawa music and language. We also can’t forget the “maasan”, onolicious Tiibichi Jiru/pig’s Feet soup specially made by Mr. Nazo for that evening. The best pig’s feet in the state! The Shimakutuba/Okinawa language skits by Maui and Honolulu brought laughter and enjoyment with the clever creativity of the skits they presented. Hawai`i Island was represented by Troy Sakihara and Gary Oshiro playing some Okinawa folk music and joined by Ryota Kokuba, from Okinawa, who did an impromptu hatoma Bushi for them. Jason Hondo represented the Maui Afuso Ryu group with “Nmu nu Jidai”, that brought back memories of the hardship and famine in Okinawa’s history. The program ended with a short concert by Ukwanshin leaders joined by Terry Higa Shinshi helping out on shima deeku. Everyone left that evening with a lot to think about and looking to the next day. The third and last day of the conference opened with protocol welcoming out esteemed Hawaiian language panelists. We were honored to have Dr. Keiki Kawae ae`a, director of Hawaiian Language Center Kahaka `Ula Ke`elikolani, University of Hawai`i Hilo, Dr. Kahele Dukelow, University of Hawai`i Maui, and Emiko Joy, Punanaleo o Maui Hawaiian Immersion teacher. For many of the participants, it was the first time they got to hear first hand about the struggles and hard work of the Hawaiian community to revitalize their language despite their minority status in their own islands. Also, everyone got a very strong message of empowerment and the realization that we need to “do it” if we are to succeed in any revitalization. We learned that we must claim our identity and be able to stand up and be proud of who we are if we are to succeed. In the discussion, we also realized that we have an obligation to our ancestors to which we are connected through our language and culture. Without language there is no music and culture will die. Our Uchinaanchu community, especially in Okinawa is far ahead and at an advantage compared to where the Hawaiians were 30 years ago, as Okinawa has a 90% majority in both population and political positions. Uchinaanchu in Okinawa need to be decolonized and realize they can revitalize the identity and language if they really want to. Another problem realized that related to Hawai`i Okinawa language education is the discrimination of Okinawa language in the University of Hawai`i system which requires a Japanese language prerequisite to be able to take Okinawa language and culture course. 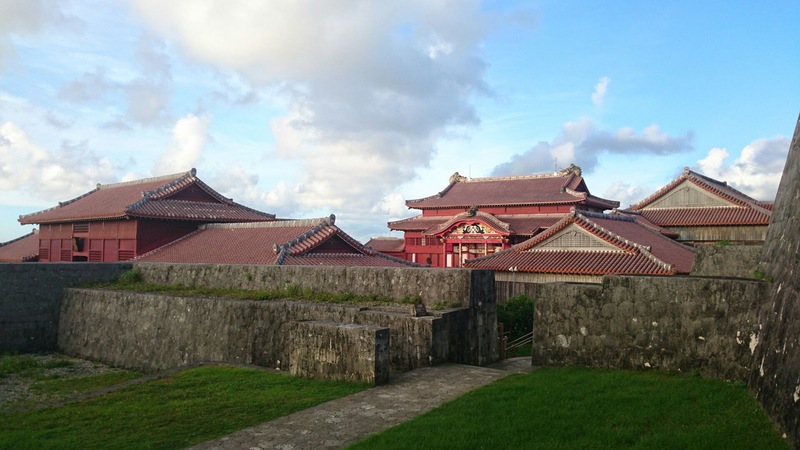 Okinawa language is the ONLY language with another language prerequisite and this causes discouragement as underclassmen and undergraduates cannot take these courses. There is also no lower level Okinawa language course being offered at this time. The morning continued with another panel discussion with the previous day’s panelists from the different Okinawan organizations, but this time they presented their success and services they provide to the clubs or community. It was interesting to see that one of the smallest and newest organizations shined with what they have been doing and with their work for revitalization in the Maui community. The Maui Ryukyu Culture Group has been a valuable resource that works along side the Maui Okinawa Kenjin Kai. Congratulations to all the groups who presented in this panel! Finally after lunch, we shared in general discussion about what the conference brought to individuals. It was clear that the conference brought many to think differently about their Okinawan Identity and culture, and to feel a stronger foundation on which to stand on to stand up and not be afraid to protect language, culture, etc. Participants voiced their eagerness to help in any way possible, and support such things such as the current emergency situation in Okinawa, language issues at the University, and wanting to join language, music history and genealogy groups to deepen their understanding of who they are and make a stronger connection to their roots. We then joined in a circle to sing the theme song of the conference, “Tinsagu Nu Hana”, and bid everyone farewell and safe journey, with the chanting and singing of “Danju kariyushi”. This conference was a success in helping to deepen the understanding and hunger of who we are as Uchinaanchu, and where we currently stand in our own place as an Uchinaanchu. It created bonds that hopefully will continue, and a network of people and groups who already have committed to helping each other in any way possible. We look forward to the next summit next Spring which will be held in Honolulu! Much Thanks goes out to the Maui Kenjin Kai and Maui Ryukyu Culture Group , for their hard work in hosting this momentous event!